Tree felling and removal is an extreme, but often essential task that must only be carried out by qualified professional. Removal may be required for a number of reasons, but it is most commonly because the tree has become diseased, dangerous or is simply in the way. Every project must be assessed individually to decide the most suitable method of removal. For example; A tree may be need to be straight felled, if deemed too dangerous to climb or dismantled in pieces, where space is limited. 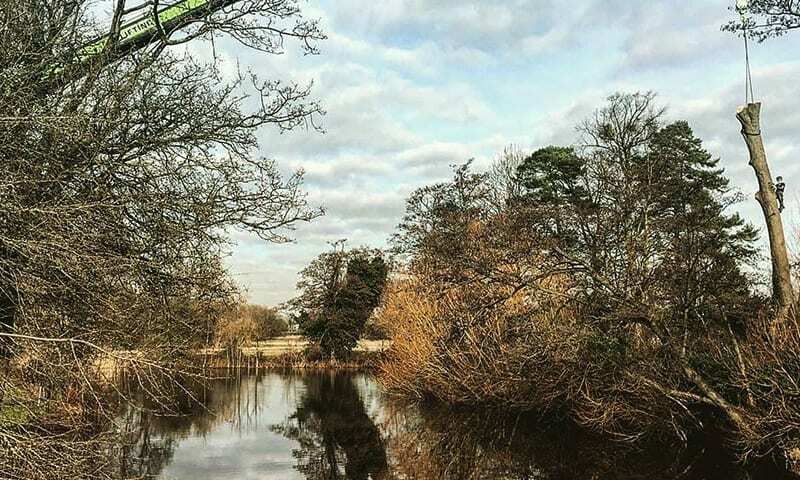 Whatever the situation, we have the tools and experience to carry out any tree removal in Croydon, Dulwich, Clapham, Norwood and across South London. Our NPTC qualified tree surgeons have amassed an extensive knowledge and priceless experience whilst working in the arboricultural industry. We’re also insured with up to £5m of Public Liability & Employers Liability insurance, giving you the peace of mind that all tree felling will be carried out to the highest possible standards. For a free, no obligation quotation on tree removal in Croydon and the surrounding areas, Contact Us and we’ll be more than happy to help.